One of the most common reasons why people avoid investing and strategic financial planning is because it can seem overwhelmingly complicated, dense, and challenging. And because many of us like to think we still have plenty of time to catch up with our savings or retire on a tighter budget, we keep pushing off investing, saving, and retirement planning. As a result, more than half of Americans avoid the stock market and one-third of adults have yet to start saving for retirement. But investing doesn’t have to be intimidating. With knowledge and an experienced financial partner to offer guidance, you can get started immediately. 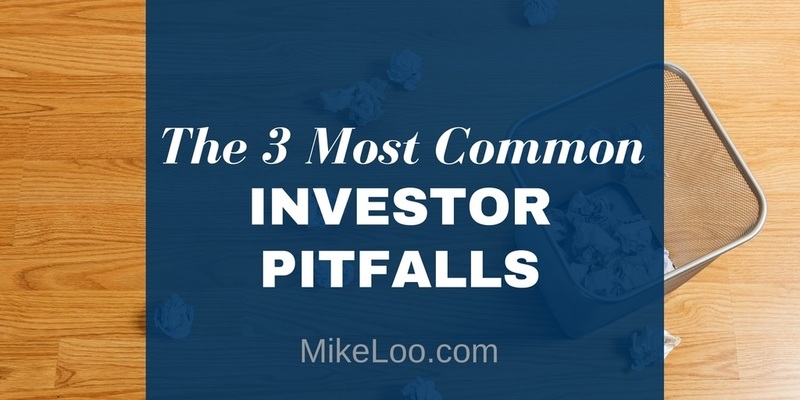 Whether you’re about to start investing or are already doing so, avoid falling prey to the three investor pitfalls listed below. When it comes to saving and investing, it costs to wait. One big reason why is compound interest. Compound interest helps the money you put away grow faster due to interest building upon itself. For every year you delay, you’ll have to contribute significantly more to reach your million-dollar mark, as you not only miss out on the contributions but also the compound interest. For example, if you start saving $400 per month at age 25, you would have $1 million saved by age 65 (assuming a 7% annual investment return compounded daily). If you don’t start until age 35, you’ll have to save around twice as much to reach $1 million by age 65. Important Note: This example is only a hypothetical used as an illustration only. It is not indicative of any particular investment and actual results will vary. The example assumes reinvestment of dividends with no consequences of fees or taxes. Past performance is not a guarantee of future results. Along with compound interest, another reason why it’s important to start early is the time value of money (TVM). This is the notion that money presently available is worth more in the future because of its potential earning ability. As long as money can earn interest, even the smallest amount can be worth more down the road. As your retirement is likely your biggest long-term goal, it’s essential to save for it differently than you would for your other goals, such as buying a house, saving up for a big vacation, or paying off your car. While there’s no one set number for how much money you need for retirement, many professionals recommend benchmarking at 80% of your current income. Let’s say you earn $100,000 per year. In retirement, you may need around $80,000 to maintain your current lifestyle. As many retirees now spend upwards of 30 years in retirement, that’s $2.4 million you would need to fund retirement (and that’s not even accounting for inflation). No matter how early you start contributing to your 401(k), it will be tough to reach your retirement income needs if you don’t utilize other accounts and savings strategies. Depending on your goals and needs, you may consider a Roth IRA, annuity, or other option. As there are so many available routes to take, consider speaking with a financial advisor first on what is most appropriate for your circumstances. Different investments are intended to accomplish different goals, and it’s important to align different types of investments appropriately with your time frame and risk tolerance. For example, if you want to save up to buy a house within a few years, you’d likely want a short-term investment that offers less risk, rather than tying up your money in a long-term investments or risking volatility. When you’re saving for retirement, you have more time to make up for potential losses, so it will likely make more sense to consider longer term investment strategies. This is one of the reasons why it’s recommended to rebalance your portfolio on a regular basis. As your goals, risk tolerance, and time horizon change, so may your investment choices. Meet with your financial advisor about your individual goals to determine an appropriate route to take. Do you have questions about investing or would like more insight into these three mistakes? Whether you’re saving for your first home or your retirement, I’d be happy to meet with you and evaluate what you’re currently doing and potential areas for improvement. 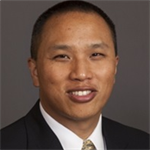 To set up a portfolio review or second opinion meeting, call my office at (949) 221-8105 x 2128, or email me at [email protected].